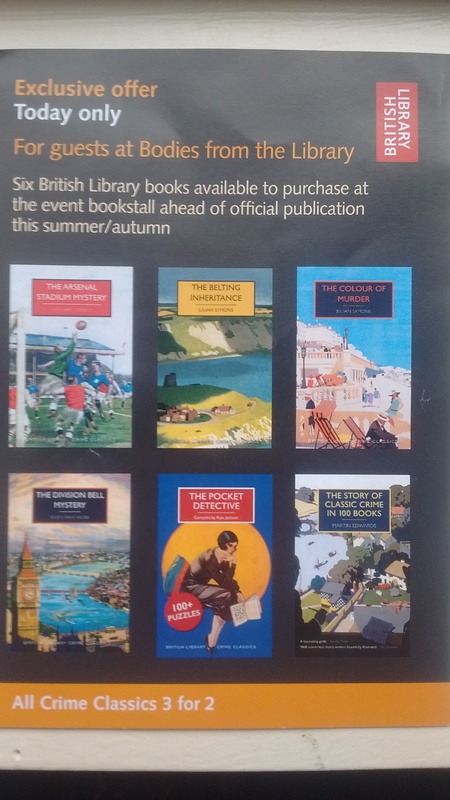 The British Library is making available six of its yet to be published titles exclusively to delegates at the conference today. Some of these will not be available in shops for several months. And, if that isn’t tempting eniugh, the Crime Classics will be on sale on a three for the price of two basis. Not got a ticket? Not a problem, you can pay on the door and secure one of the few remaining places. Oh yes, and you will get to hear leading experts on the Golden Age sharing their knowledge on a range of topics relating to detective fiction’s finest ers.